So we had a little fun on the social networks today. 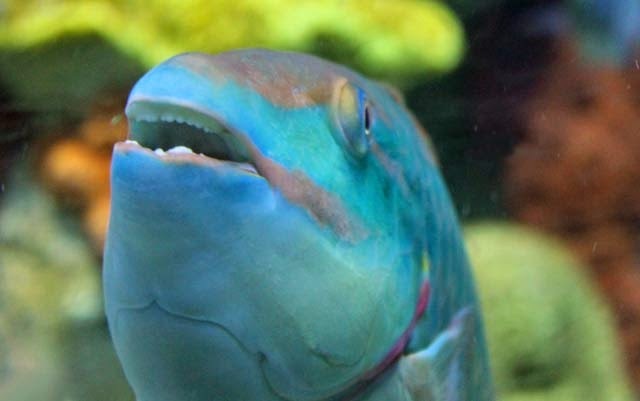 We posted a picture of a stoplight parrotfish and challenged friends in our online neighborhoods to come up with a caption for this picture. Lizz DuBois added: I'm feeling a bit blue, please come visit me here at the aquarium! Read all the comments here. kaiyves read our minds with this answer: Summerrrrrrrrr! See all the notes here. Jim Carver wrote: Just got back from the dentist, like my new smile? Thanks to everyone who played along! 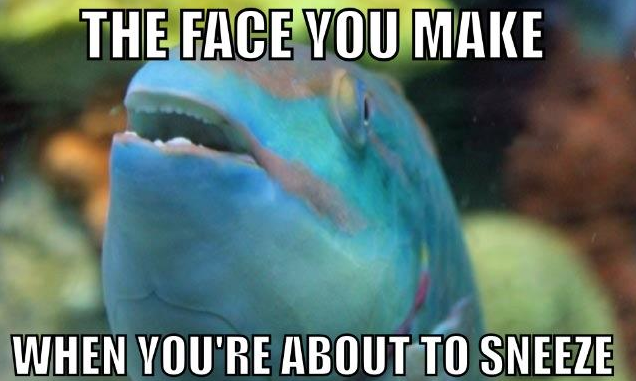 Come by the Aquarium this weekend to see if you can snap some caption-worthy images, we'd love to see them! Find and tag us in your images on your favorite social media.